Go the Distance with Kingpin Truck and Trailer Mobile Repair Service - Kingpin Trailers LTD.
Life on the road doesn’t need to be a hazard with Kingpin Trailers. As a driver, one of the most frustrating challenges faced on the road is an unexpected breakdown or trailer issue. 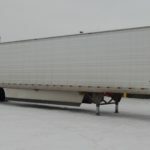 When hauling cross-country, it can be difficult to find a service centre equipped to meet the specific needs of your unit. 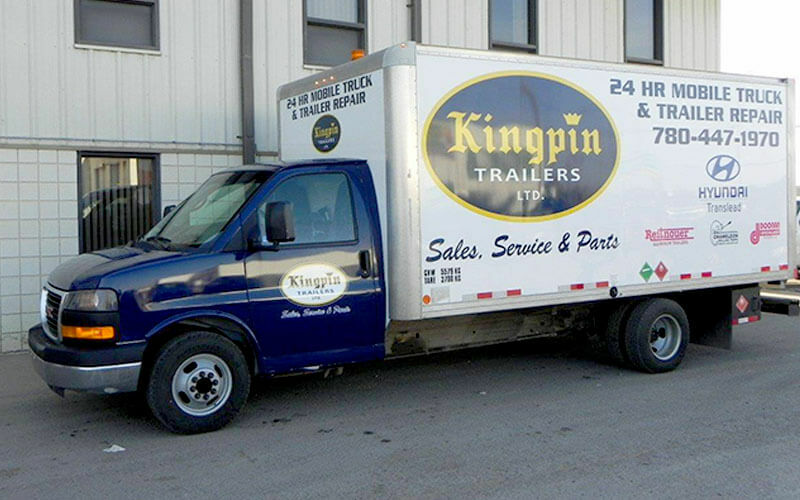 Kingpin trailers proudly offers 24/7 mobile service, 365 days of the year, to help keep you up and running. 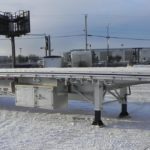 Our experienced team of mechanics are on standby to assist with mechanical failures and part replacements, and are able perform quick diagnostics for wide ranges of issues. Kingpin mechanics come prepared with onboard welding equipment, tools, lights and a vast selection of standard parts. If you need to go the distance, our team is here to help. Contact us now to find out more!